Getting children to write should not be a battle after all they discover the world through play and if writing becomes a battle to them , then it can step up many battles for years to come. Children want to uncover the mysteries of the world we and and such we need to encourage them through active play . It doesn't have to cost money you can use what you have after all everyone has a teddy called Teddy. 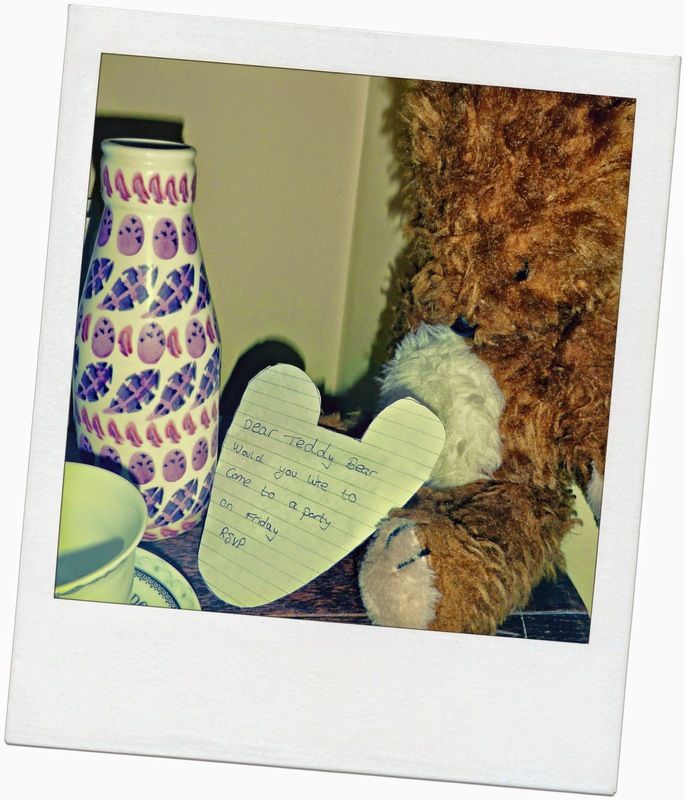 My Teddy is called "Teddy"
Everyone loves a teddies bear picnic I don't know a child on earth that doesn't love the jolliness of a tea party . If you have a reluctant the presentation of a blank invite might spark a modicum of protest but if you gently build up to the actual writing of an invite then it will be less of a shock. This can start with the the planning of the sandwiches , which flavour jelly and then obviously a choice of outfit. So if you follow the simple steps below then it could help your child on the road to the start of a beautiful friendship with written word. 1. Build up to the event by describing what is going to happen . 2. Read books about teddy bear picnics. 5. It doesn't matter where the child does this a desk is preferable but as I work in education any where a child can write is a bonus. My son has an expensive desk ; yet despite this I often find him doing his homework on the floor, I don't stop him as writing is a gift that needs to be expressed any where. When Teddy has his invite he is good to go * you are humming that Teddy Picnic song aren't you now ? This is a fab idea! We struggle to get Chester to write anything other than his name at home (I have seen evidence he can do it at School) so am gonna give this a go! Some super ideas for encouraging writing in young children. Thanks for sharing? What a lovely idea. My son doesn't always like just sitting down to write so encouraging him like this would really work. Great ideas, I really need to get my little man to write more. He is left handed and struggles sometimes as he is constantly covering over what he has written with his other hand. What a clever idea - and I know what you mean about not using the desks provided. How Sharing Can save you Money! Britmums Sponsorship I need you ! please . What is Mumsnet favourite Muppet Character?